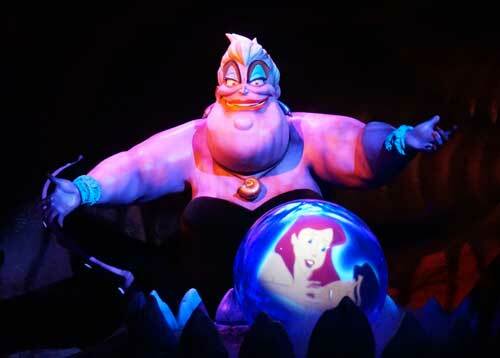 If there is one thing that Disney does especially well, it is the details. It’s all the little things that add up into making the whole much more than the sum of the parts. And Disney does details everywhere. They certainly take the time and money to get the details right in the shows and attractions. And they put plenty of details in the queues, which both sets the stage for the fun to come and also gives you plenty to enjoy as you wait. But one of the other places where Disney puts plenty of details – and many of us never notice them – is in the attraction signs. Not only do these signs let you know what the attraction is, but they also set the mood and provide some foreshadowing into what is to come. 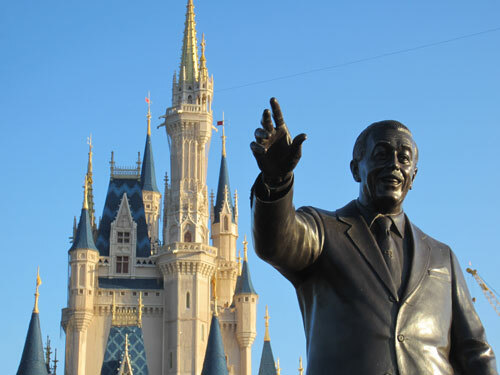 Let’s take a look at five of my favorite attraction signs at Disney World – first a few low-tech signs, then a few high-tech signs. 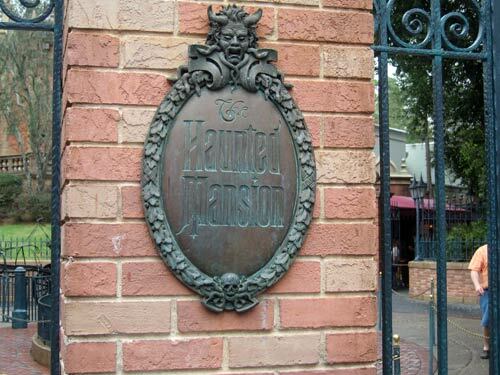 The Haunted Mansion entrance sign isn’t high tech at all. It’s simply a metal sign with the attraction name on it. But it is truly iconic. Disney took time to get it right. The carefully designed letters tell you that you are in for a scare, and the graphic elements all lend to the “haunted” theme. It’s not just a sign – it’s an icon. 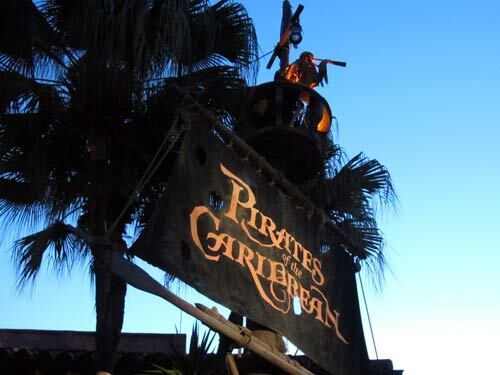 Some say that the building for the Pirates Of The Caribbean attraction itself somewhat hides the attraction entrance. I believe this is true since the entrance doorways are well into the covered plaza. 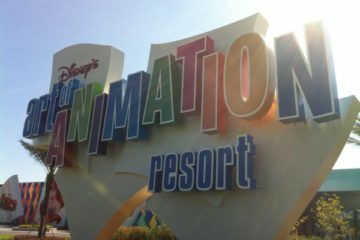 To make up for that, and to be sure people can find the attraction, Disney created a sign. But not just any sign. This sign is huge. It has a huge tattered sail and a skeleton in the crow’s nest. The sign itself nicely marks the place for the attraction but also gives you a very good idea of what to expect in the attraction itself. It’s not high tech, but it is beautifully done and tells the story of what you will see inside. This sign tells you what to expect inside in a very clear way. This sign at The Seas With has it all going on. There are the sights and sounds of animatronic sea gulls that say “mine, mine, mine” (and seem to magically encourage everyone who comes near them to say the same thing). There are water splashes of the ocean waves. 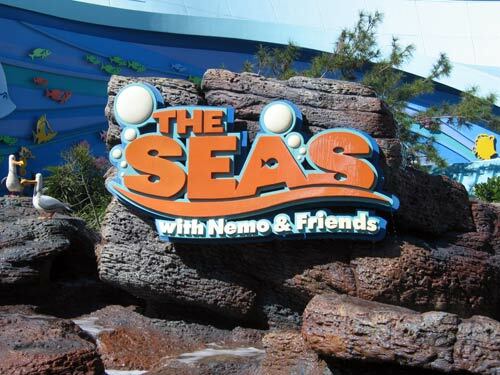 There are the colorful letters that evoke the design elements from the Finding Nemo movie. 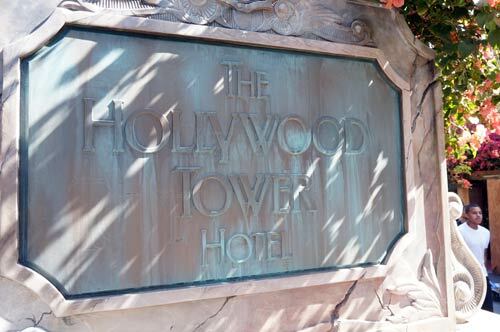 This sign is a true multi-media experience – and all that before you even step foot inside the attraction building! There is a lot of stuff happening with this sign. How do you combine the nostalgia of turn-of-the-century Hollywood glamour with high-tech elements? Very carefully. But Disney has done a great job of it. They combined a sign that looks like it could be nearly 100 years old with modern fiber optic lighting effects to create a sign that tells you that you will be seeing something very special in the abandoned hotel you are about to enter. Old Hollywood meets high tech. There is a thrill of adventure with space travel, and you get that sense when you see this entrance sign for Mission: Space. 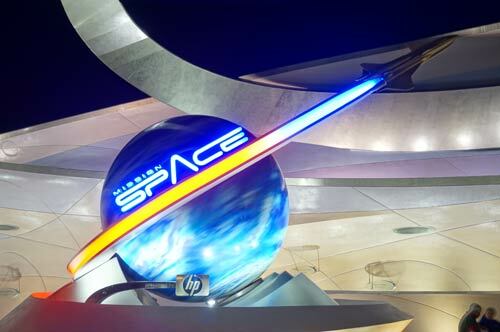 There is motion in the rotating globe and the moving rocket trail lights as well as bright colors and a design that reaches into the sky. 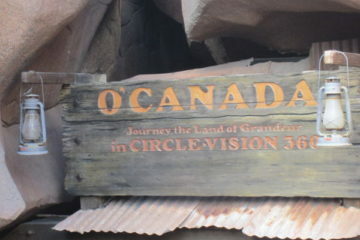 This is another sign that helps to tell the story of its attraction before you even make it into the queue. Get ready for an adventure. Disney has taken plenty of time making sure that the signs for its attractions have the same attention to detail as the attractions themselves. 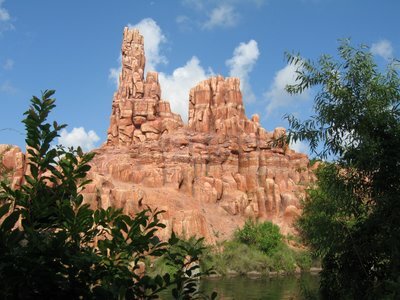 The next time you are in the parks, take a few minutes to check out these unique works of art. 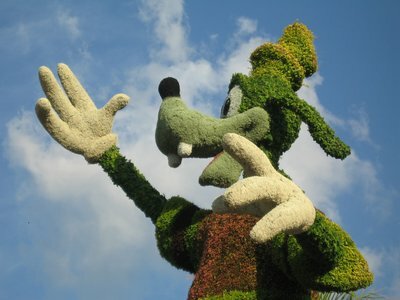 Do you like Disney World attraction signs? Have a favorite?